Small 2 inch Ball candles have been around for a while but often unnoticed. Spruce up your room with these sphere candles and enjoy the dimensions it creates. These unscented sphere candles burn exceptionally long. 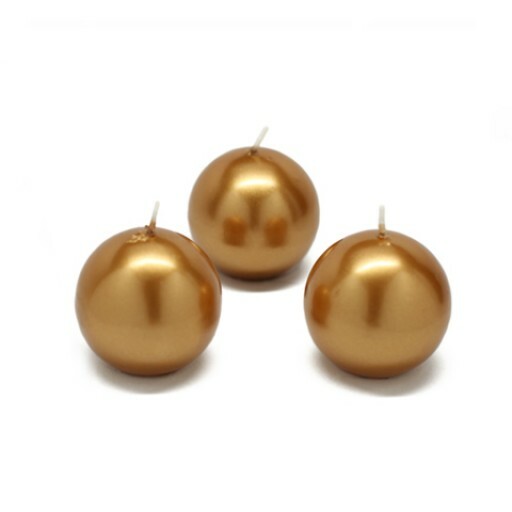 Metallic candles have gold inner wax with a metallic finish.